Posted on August 18, 2017 by Erica V.
It’s hard to believe that it’s already been a year, and that it’s only been a year, since we took our first step towards making .blog available to everyone. 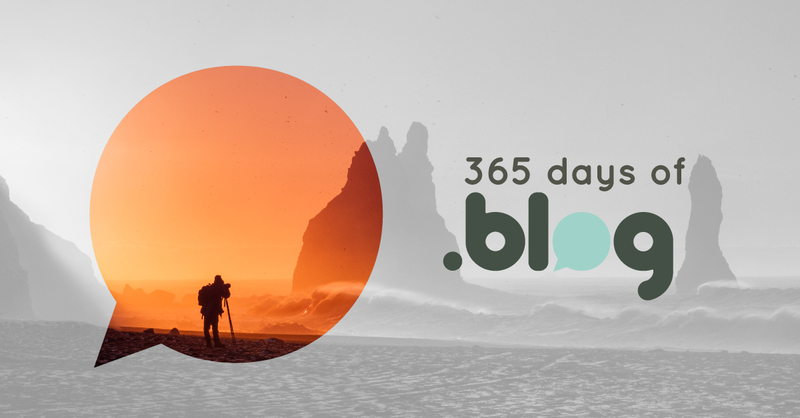 Exactly one year ago today, .blog domains were released to companies and people with trademarks — a required step called the Sunrise phase — and were later opened up to the whole world. During the Sunrise claims period, companies like Amazon, Apple, and Soundcloud grabbed their .blog addresses and started using them right away. Tim Ferris (tim.blog), Stack Overflow (stackoverflow.blog), Miss Lauryn Hill (misslaurynhill.blog), and many more joined our dotblogger program, which makes premium and reserved domain names available to online influencers. Within the first 8 months 100,000 people registered a .blog — and even better, .blog domains have a 66.5% usage rate. Our goal remains to see as much unique content published in the .blog namespace, creating global awareness for new TLDs. We expressed our commitment to stability and reliability to registrars, resellers, and customers by updating the .blog Registry-Registrar Agreement to include a clause specifying that the renewal fees for .blog domains will not increase once they’re registered. When we decided to launch .blog, we hoped it would find a natural home in the blogging community, helped built by our parent company, Automattic, Inc, and their mission to democratize publishing on the web. While Knock Knock WHOIS There (KKWT), the company behind .blog, and Automattic are separate entities, our philosophies remain tightly intertwined. As we continue to move forward, we appreciate having the time to reflect on all that we’ve accomplished, both at .blog and the new TLD (top-level domain) community at large. We’re looking forward to seeing where the next year takes .blog.